We provide double and triple glazed window fitting services throughout Hampshire and Dorset such as Southampton, Winchester, Bournemouth, Lymington, Romsey and the New forest and Waterside area. We offer a extensive range of styles, colours and opening features. Our range includes Bifold, French, flush casement, and tilt and turn all of which are available in double and triple glazed. The windows and doors will be replaced with the industry leading UPVc sculptured 70mm Optima system by Profile 22. The frames minimise heat loss by having multiple air chambers with the outer frame having 6 chambers and the sash having 5 chambers. 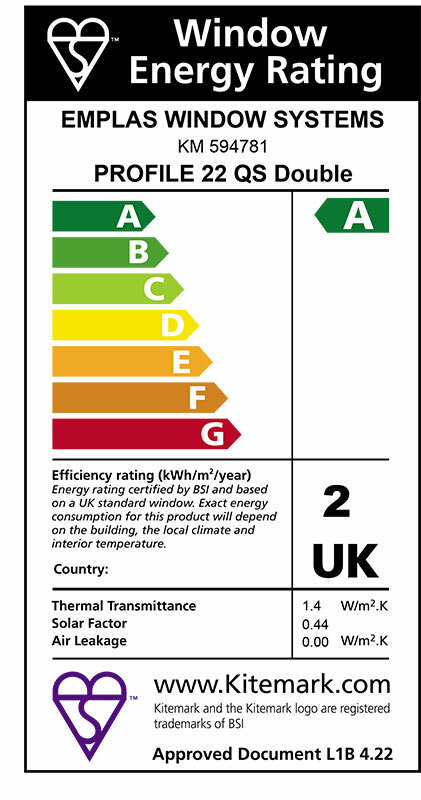 Blue Sky Windows (Hampshire) Ltd can now offer A & A++ rated windows. Energy ratings have become increasingly important as customers are rapidly becoming more and more aware of the benefits energy efficient products can bring, demanding more efficient home insulation. The windows supplied by Blue Sky windows can offer thermal U-values as low as 0.8 W/m2K and A++ on the Windows Energy Ratings (WER) by using themal inserts and depending on the units fitted. Our standard units are double glazed 28mm Pilkington Optiwhite “K” low emission glass. They are filled with argon gas and have a warm edge black spacer bar between the frames to reduce heat loss. Triple glazed units can be fitted into our standard optima frame by changing the glazing beads. 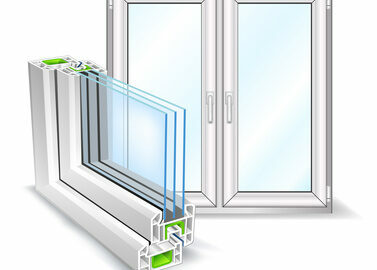 Each window is designed to your exact specification, in white or a choice of 28 foiled colours. All colours are also available on a white interior. The range of colours available can respect and compliment the building materails, age of the property, and character of the property. If you are looking for a specific colour and can’t find it in our range, we can spray the frames to any Ral colour of your choosing. The white profiles carry a ten-year guarantee and for foiled profiles, the guarantee length varies according to the finish. 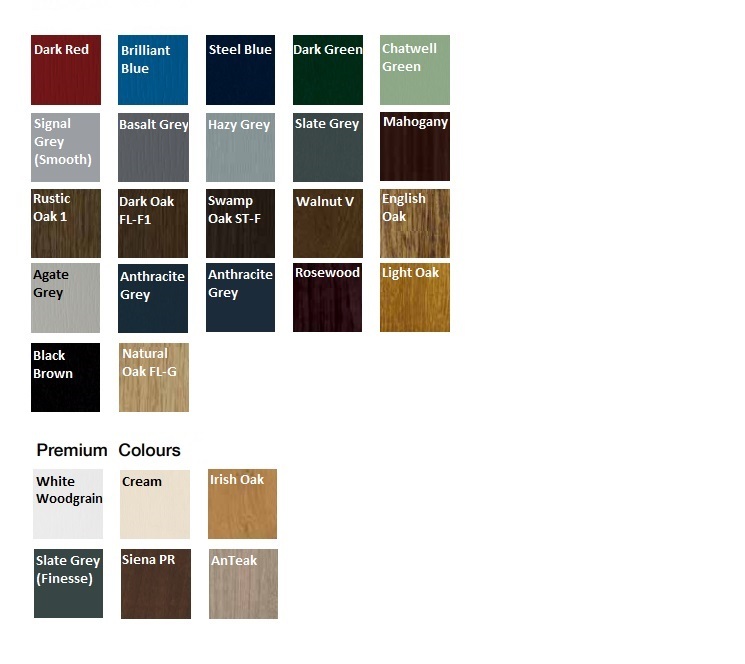 Samples and colours swatches are available to view, please contact us for details.